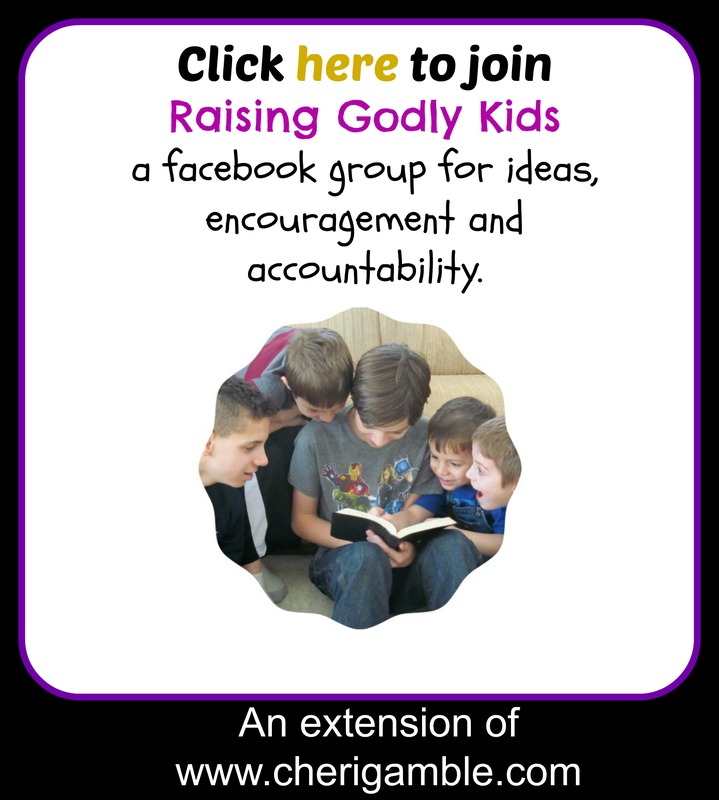 A free 10 week Bible Reading Plan for kids and Teens. Perfect for Summer Reading! Here we go . . . this year’s Summer Bible Reading Plan for kids and teens! This year the theme is BOLD and we will look at topics such as Bold Speech, Bold Sacrifice, Bold Giving, Bold Love, and more! One more thing: check out BOLD: A 10 Week Study for Families and Churches for a Bible Curriculum based off this reading plan! The Bible plan includes opening skits and activities, Biblically sound Bible lessons, Bold Believer Biographies, and additional activities to reinforce the lessons. It is easily adaptable for all age groups and group sizes! And now, are you ready? Let’s Jump right in! ___ Day One: Read John 3:1-21. These verses record a conversation that Jesus had with a Pharisee named Nicodemus. What was the main point that Jesus made in this conversation? What is the BOLD LOVE that is seen in these verses (especially verses 16-17)? God LOVED the world so much that He sent JESUS to die. This is truly a BOLD love. Have you accepted God’s gift of love? Are you a follower of Jesus? Pray about it: Spend time today thanking God for His gift of love to you. Activity: Make your own heart ring out of wire. Wear this ring to remind you of the gift of love that God has given you, as well as a reminder to share that BOLD love with others. Snack: Cut bread into a heart shape and cover it with strawberry jelly to remind you of the blood of Christ. ___ Day Two: Read Romans 5:1-11. What is so amazing about the love that God has for us? How did He demonstrate His love to us? What does this mean to you personally? Pray about it: Spend time asking God to help you love others the same way that He loves you! Activity: Find some old dirty pennies and lemon juice to perform a little experiment. Put lemon juice in a container and then drop the old pennies in the juice. Leave them in the solution for 5 minutes. What happened to the pennies? We are like the pennies . . . we are dirty because of our sin. However, God’s gift of Jesus is enough to make us clean. When we become a Christian, Jesus cleans us all up and we are shiny and clean . . . just like the pennies! Snack: Use the rest of the lemon juice . . . and maybe some lemons . . . to make homemade lemonade! Share the lemonade with someone else and talk with that person about the love that Jesus has for him! ___ Day Three: Read John 15:1-17. Are you a fruit bearing plant? What kind of fruit are you bearing? How is love described in these verses? Are you showing BOLD love to those around you? Pray about it: Ask God to help you produce the kind of fruit that He wants you to produce. Ask Him to help you show the kind of BOLD love that He wants you to. Activity: Dead branches need to be cut off of the tree so that the rest of the tree stays healthy. Go outside and do some “pruning” today. Find a plant that has some dead branches or leaves and cut them off. Then take those old dead branches and use them as your “paintbrushes” as you paint a picture representing verse 13. Snack: Make some sour patch grapes! Remember, grapes come from a vine . . . just like you are on God’s vine! The jello that you put on the grapes really made them stand out, didn’t it? When we show God’s BOLD love to others, we also stand out! ___ Day Four: Read Matthew 5:38-48. What do these verses teach us about love? Who are we supposed to love? This is hard, isn’t it? It is definitely a very BOLD love! What does it look like to love your enemies? Pray about it: Spend time praying for your enemies today. Activity: Find a rock outside and decorate it with the word “Love”. Keep this rock in your room. The next time you feel like “hating” someone, take that rock out and pray for that person instead. Snack: Make heart shaped sugar cookies! ___ Day Five: Read Luke 10:25-37. Do you think Jesus’s answer surprised the man? What was unusual about the story that Jesus told? How does Jesus’s story of the Good Samaritan challenge you to show BOLD love? Who do YOU need to reach out to in love this week? Pray about it: Ask God to help you show love to everyone – even to those who are more difficult for you to love. Activity: Take several bandaids and decorate them in ways that will remind you to show Bold Love. Attach the bandaids together to make a bracelet or ankle bracelet (or anything else that you can think of). Snack: Play with your food! Use gummy bears or E.L. Fudge cookies to retell the story of the Good Samaritan . . . or use a different type of food combination such as bananas (that could get a bit messy!) Have fun! ___ Day One: Read Mark 5:25-34. How did this woman show she had faith? What happened as a result of her faith? Pray about it: Ask God to help you reach out to Him in faith today. Activity: The woman in this passage had been in pain for several years. She reached out to Jesus in faith that He would heal her and He did. Trace your hand on a piece of paper and then write on it one thing that you need to trust Jesus for in your life. Spend time praying for that situation. Snack: The woman in this passage had to make her way through a crowd of people to get to Jesus. Act out this passage using carrot sticks and ranch dressing. Use the ranch dressing to make the carrot sticks look like people . . . make a carrot Jesus and a carrot woman. Have fun retelling the story – and then eating all the characters! ___ Day Two: Read Matthew 8:5-13. How did the Centurion show BOLD faith? What was the result? Pray about it: Ask God to give you faith like the Centurion’s in today’s passage. Activity: Can you imagine how the servant of the Centurion must have felt? He was paralyzed, lying in bed and tormented. His boss had gone to get help, but he had no idea where his boss was or when he would get back when all of a sudden he was able to move again and felt perfectly fine! It was truly a miracle! Pretend you are that servant. Write a journal entry or make a video telling what happened to you. Snack: How would you do if you couldn’t move? Get a snack out (a banana would be fun). See if you can eat it without using your hands. ___ Day Three: Read Mark 10:46-52. Who had faith in this passage? What happened as a result of his faith? Notice how this man kept crying out to Jesus, even when everyone around him told him to be quiet! Notice also how Jesus asked him directly what he wanted. What was his reply? He had faith that Jesus could completely heal him . . . and Jesus did! Pray about it: Ask God to help you keep crying out to him – even when others tell you to stop. Also pray that God will help you pray BIG . . . just like Bartimaeus did. Activity: We might not be blind physically, like Bartimaeus was, but we could be blind to the needs of those around us. Spend time today really looking at those around you. What needs do they have in their lives? Pray for them . . . and then see if you can do something to help them in a practical way. Snack: Use banana slices and chocolate chips to make an interesting “eye” snack. ___ Day Four: Read Matthew 17:14-21. Why were the disciples unable to heal the man who had been brought to them? What does Jesus say is possible to do with a little faith? Do you have any mountains that you need moved in your life? What seemingly impossible situations do you need God to handle today? Pray about it: Take your “mountain” to God today in prayer. Activity: Make seed art. Get several packets of seeds and then combine them together to make a design by gluing them on paper. Snack: Make some fruit salad. Examine the seeds in the fruit that you use. The seeds might be pretty small, but they make a yummy treat. In the same way, your faith might be small, but God can use it to do great things! ___ Day Five: Read Hebrews 11. This is a long passage, but it highlights so many of the Old Testament heroes of the faith. In fact, this chapter is often referred to as the “Hall of Faith”. What stories stick out to you in this passage? How does it make you feel knowing that all these people were ordinary people, just like you, who did extraordinary things! That’s what BOLD faith can do . . . it can help you do extraordinary things, too! Activity: Illustrate this chapter by making your own “Hall of Faith”. Snack: Choose one of the heroes in this chapter and use food to illustrate his story. ___ Day One: Read 2 Kings 5:1-14. Who was bold in this passage? How? In this passage, we see that Naaman had a very young servant girl. Even though she was young, she had the courage to tell someone abou the prophet who could help Naaman. What do you think would have happened if she hadn’t spoken up? Pray about it: Ask God to help you serve others by sharing the truth – even when it is scary! Activity: Naaman had leprosy, a disease which made people stay away from him. Are there people that you tend to stay away from? Think of a way that you can reach out to them with the love of Christ. Snack: Eat something to remind you of leprosy – and of how we need to serve all people . . . even those that others stay away from. (Examples of snacks could be dots, skittles, grapes, blueberries, etc). ___ Day Two: Read Luke 1:26-38. In this passage, we are introduced to Mary, the mother of Jesus. How does she respond to the message from the angel? How does she show bold service? Mary was willing to do whatever God wanted of her – she was a humble servant of God! Are you willing to do whatever God wants you to do – even if it will lead to discomfort and difficulties? Pray about it: Ask God to help you be a willing and humble servant of Jesus – just like Mary was. Activity: We see Mary’s response to God’s calling in Luke 1:46-55. What is your response to God’s calling on your life? Write your own song or poem expressing your feelings towards God’s call to service in your own life. ___ Day Three: Read John 13:5-11. Our best example of bold service is found in Jesus Himself. This passage shows us one of the times where Jesus showed bold service. What happened? How did He set an example for us in this passage? Pray about it: Ask God to help you to not be afraid to do the acts of service that others don’t want to do. Activity: Perform secret acts of service for the other members of your household this week . . . be careful not to get caught!!! Snack: Jesus washed the disciples feet – make some “foot-long” subs and serve them to your family today! ___ Day Four: Read Mark 10:35-45. What was the request that James and John made to Jesus? How did Jesus respond? How did the rest of the disciples feel about their request? Finally, how did Jesus define greatness in this passage? The one who serves others is the one who is truly great! Even Jesus came, not to be served, but to serve others. Pray about it: Ask God to help you serve others – even when you don’t feel like it! Activity: Find a way to serve others in your neighborhood . . . perhaps you will mow someone’s lawn or pull weeds for free. Maybe you and your family can go grocery shopping for an elderly neighbor or walk a friend’s dog. Be creative in your service – and remember, you are serving Jesus! Snack: Set up a free lemonade stand in your neighborhood. Offer lemonade and cookies – but don’t charge a thing! ___ Day Five: Read Philippians 2:1-18. How did Jesus set the example as a servant according to this passage? How should we use that example to help us live our lives? What are some qualities of a servant that are found in these verses? Pray about it: Ask God to help you be a truly BOLD servant – putting others first, not complaining or grumbling, and having the attitude that Jesus had. Snack: One day every tongue will confess that Jesus is Lord! Eat a “tongue” snack (a fruit roll up would work well for this). ___ Day One: Read Malachi 3:8-12. What does God say about giving in these verses? How is bold giving shown in these verses? Pray about it: Ask God to help you give Him all that He deserves. Activity: God blesses us so much . . . sometimes we don’t even realize how much He has blessed us until we sit down and think about it. He has given us life, the air we breathe, the flowers, the sun, the earth . . . so many blessings we hardly ever think about! Take time today to think about the ways God has blessed you! Fill a glass up with water. Keep pouring water into it until it overflows. Spend time splashing in the water and thanking God for His over-flowing blessings to you! Snack: Fill up an ice cube tray with koolaid and freeze. When the cubes are frozen, take them out and use them with water, or simply eat them by themselves. Spend time thanking God for the blessings He has given to you! ___ Day Two: Read Mark 12:41-44, Luke 21:1-4. Why did Jesus say that the widow had put in more money than any of the rich people? What was bold about the widow’s giving? How does this passage challenge you to be bold in your giving? Pray about it: Ask God to challenge you in your giving. Activity: Spend time today thinking about your giving. Have you ever given as the widow in this story did? What can you give that would demonstrate this type of bold giving? Make a plan and carry it out! ___ Day Three: Read 2 Samuel 24. This is a sad story in David’s life. He sins against God and, as a result, the whole nation is punished. However, we also see more of David’s heart in this story. Re-read verse 24. David wanted to buy this plot of land, but the owner wanted to give it to him. David then says, “I will not offer offerings to the Lord my God which cost me nothing”. How does this relate to the concept of BOLD giving? How can we learn from David’s attitude? Pray about it:Ask God to give you the same attitude as David had! Activity: Practice BOLD giving – give an offering that costs you something! Snack: David purchased the threshing floor . . . a threshing floor is where the grain is harvested. Make homemade bread to remind you of David’s sacrifice. Then GIVE some away!! ___ Day Four: Read 2 Corinthians 9. God loves a ________________________. (Cheerful Giver). What does it mean to be a cheerful giver? Are you always a cheerful giver? Pray about it: Ask God to help you be a cheerful giver! ___ Day Five: Read Acts 20:25-35. According to Paul, what did Jesus Himself say? What does it mean that it is more blessed to give than to receive? Have you ever experienced this in your own life? Pray about it: Ask God to show you ways that you can give to others. Activity: Look for ways that you can give to those around you. Try to give something to someone secretly and see what happens! Snack: Make cookies and share them with a neighbor or friend. ___ Day One: Read Daniel 1. What was the bold stand that Daniel and his friends took in this chapter? Why was it bold? Daniel and his friends made their faith their own in this chapter . . . they no longer had parents or other adults around telling them what to do, yet they still made the right choices! They decided that they were going to worship the One True God and that decision impacted everything they did. Have you made that decision yourself? Do you do what is right – even when everyone else is telling you to do what is wrong? Pray about it: Ask God to help you to do the right thing no matter what. ___ Day Two: Read Daniel 3. Here is another time when Daniel’s friends took a stand (literally) for what was right. What was bold about what they did? Were they guaranteed that they were going to survive this stand? Pray about it: Ask God to help you stand for Him – even when the results are not guaranteed! Activity: We might not have to bow down to a statue, but we are asked to bow down to the things of the world every day. We are asked to compromise our beliefs and go along with what the world says. This is not what God wants us to do, though. He wants us to stand for what is right no matter what. Think about one issue where you are being challenged to give in. Spend time today praying for that issue and asking God to help you stand for what is right in that situation. ___ Day Three: Read Acts 7:44-60. This is a situation where someone else took a stand and it ended very differently than what we read about yesterday. How did it end for Stephen? Stephen died for the stand that he took. How does this challenge you to take a BOLD STAND for your faith? Activity: Stephen died for his faith by stoning. Go outside and gather a few stones or rocks. Write one way that you can take a stand for Jesus on each stone. Put these together to make a little “rock garden” that will remind you of the importance of taking a bold stand. ___ Day Four: Read 1 Samuel 17. Who took a BOLD STAND in these verses? Why do you think he was able to take this stand? Who gave him the strength and courage to fight the giant? Do you have any giants in your life that you need to take a bold stand against? Pray about it: Ask God to help you deal with any giant situation you might be facing. Activity: Goliath was 9 feet tall. Measure out 9 feet on a sidewalk and mark it with sidewalk chalk. Lie down beside it to give you an idea of how you would compare to Goliath. Use sidewalk chalk to draw/write ways that you can take a bold stand for Jesus. Snack: You probably can’t make a 9 foot snack, but you can try to make a tall snack! Find a snack to stack and see how tall you can make it before it topples over. Use this to remind you of the way that God can help you take a BOLD stand against the giants in your life. ___ Day Five: Read 1 Peter 5:6-11. Who is ultimately trying to destroy you? Satan is trying to get you to fall away from your faith. How can you take comfort knowing that other people around the world are going through the same struggles and are taking a bold stand against the devil? How can you take a bold stand against the devil? Pray about it: Ask God to help you stand strong against what Satan throws at you. Activity: Do some research on the bold stand that Christians around the world are taking. Make a prayer calendar of different persecuted Christian groups to pray for each day this month. ___ Day One: Read James 5:13-18. How was Elijah bold in his prayer? Are you bold in prayer? Pray about it: Ask God to help you be a bold pray-er. Activity: Spend time today praying according to the pattern set in James 5:13-14. Pray for those who are suffering or who are sick. Make a poster or sing a song to express your cheerfulness and praises to God. Snack: Eat bread or crackers and dip them in oil. Use this to remind you of the anointing oil mentioned in these verses. ___ Day Two: Read 2 Kings 19:1-7, 14-19. King Hezekiah is faced with a difficult situation in these verses. How does he respond? He goes immediately to the Lord in prayer! That should be our automatic response to every situation that comes our way, too! Before we do anything else, we need to PRAY! Pray about it: Ask God to help you remember to pray as a natural response to anything that happens to you! Activity: Make a prayer booklet to keep track of your prayer requests and praises. Write them all down and then see how God answers your prayers! Snack: Make pretzels! Pretzels were originally made to remind us of praying hands! ___ Day Three: Read Daniel 6. This passage shows us how BOLD Daniel was in his life- and especially when it came to his relationship with God! How did Daniel show BOLDNESS in his prayer life? How can this challenge you to be BOLD in prayer? Pray about it: Ask God to help you pray in every circumstance – even when others think that praying is crazy! Activity: Daniel had a specific place where he prayed every day? Do you? Make yourself a prayer place . . . set it up as a place where you will keep your prayer journals and where you will meet with God every day. Then start using it! ___ Day Four: Read Luke 11:1-13. What do these verses teach about prayer? What are some of the elements of effective prayer that you see in these verses? Pray about it: Pray through the Lord’s prayer using the different elements you see: praise, praying for your needs, praying for forgiveness, praying against temptation, etc. Activity: Write an acrostic poem to help you remember the different elements of prayer. Use the word “Prayer” and have each letter stand for something different that reminds you of what you should pray for or how you should pray. Snack: Get a small bag of chocolate candies or fruit candies. Make each piece of candy stand for one thing you should pray for. Pray for that item, and then eat that piece of candy! ___ Day Five: Read Romans 8:26-39. Sometimes we don’t know what we should pray for. We don’t even know how to start . . . but these verses promise us that the Spirit intercedes for us. When we don’t know how to pray, the Holy Spirit prays for us! How does this make you feel? How can knowing this help you be BOLD in your prayer life? Activity: Go for a prayer walk today and pray some BOLD prayers! Snack: Make a prayer chain – a necklace out of cereal or other fun snacks that you can put on a string. Let each food item stand for something you need to pray for. Wear the necklace to remind you to pray for each of those things. When you are ready, eat the necklace! ___ Day One: Read Luke 12:8-12. What do these verses say about bold speech? Who will give us the words to say if we are willing to take a stand for Christ? We don’t know what will happen to us in the future, but we are promised that if we stand strong and speak up for Christ, the Holy Spirit will help us when we get in those situations where we don’t know what to say. Pray about it: Ask God to help you speak up for Him. Activity: Draw a picture of yourself standing and testifying about God in front of other people. What are the words that you would say? Snack: Memorize Luke 12:8. Then try saying it clearly with different types of food in your mouth! ___ Day Two: Read Acts 26. One person who saw yesterday’s Scripture work in his life was Paul! He was on trial for his relationship with Jesus and the Holy Spirit truly gave him the words to say. What are some of the words he said to King Agrippa? How was Paul bold in his speech? Pray about it: Pray for those who are on trial for their relationship with Jesus today to have the words to say and to be bold in their witness. Activity: Act out the trial that took place in Acts 26. Use other people or legos, or any other means and record this trial. Share it with others! ___ Day Three: Read 2 Samuel 12:1-14. Sometimes bold speech is necessary in confronting others about their sins. That was the case with Nathan. He had to confront David about his sin with Bathsheba. I’m sure that took quite a bit of boldness on his part! God wants us to speak the truth – even if others don’t want to hear it. Pray about it: Ask God to help you boldly speak the truth when others need to hear it! Activity: Watch “King George and the Ducky” by Veggie Tales. Sing along with Nathan’s speech!! ___ Day Four: Read Jeremiah 1:4-10. These verses are God’s call to Jeremiah. When did God call Jeremiah? God had a plan for Jeremiah to speak His words while Jeremiah was still in his mother’s womb! God has a plan for you, also. Are you willing to speak His words wherever He sends you? Pray about it: Ask God to help you speak His words wherever He wants you to go! Activity: Choose your favorite verses from this passage of Scripture. Make a banner or poster with those verses on it. Hang the banner or poster in your room! ___ Day Five: Read Ephesians 4:29-5:2. Sometimes having BOLD SPEECH simply means not speaking like everyone else. Is your speech like Ephesians 4:29, or do you need God to help you be more BOLD in how you speak and the words you use? Pray about it: Pray about the words that come from your mouth! Activity: Is your speech SWEET or SOUR? Have fun with sweet and sour foods today. Close your eyes and plug your nose and have someone feed you samples of sweet and sour foods. Can you tell the difference with your eyes closed and nose plugged? How about with just your eyes closed? Can people tell the difference in you by the way you speak? ___ Day One: Read Genesis 22:1-19. What was the bold sacrifice in these verses? Are you willing to sacrifice something important to you, even if it doesn’t make sense at the time? Pray about it: Ask God to help you give everything to Him. Activity: Use sticks and stones (or whatever is available) to make your own “altar”. Write down the things that God might want you to give up for Him. Place those things on the altar. ___ Day Two: Read Luke 23:33-57. These verses tell us about the greatest sacrifice ever. Jesus sacrificed Himself for us so that we could be saved! Spend time today reflecting on the sacrifice of Jesus. Pray about it: Thank God for His sacrifice for us! Activity: Find a board and a nail. Hammer the nail into the board, thinking about the sacrifice that Jesus made for you! ___ Day Three: Read Romans 12:1-2. What does it mean to be a living sacrifice? How can you be a living sacrifice for God? Pray about it: Ask God to help you live your life as a living sacrifice for Him. Activity: Write Romans 12:1-2 out on a picture frame. Decorate the frame. Put a picture of yourself inside it and put the frame somewhere to remind you to live your life as a living sacrifice to God. ___ Day Four: Read Luke 9:23-27. What does it mean to take up your cross daily and follow Jesus? What things might you need to sacrifice for God? Pray about it: Ask God to help you put Him before anything else. Activity: Make a cross necklace to remind you to take up your cross daily and follow Jesus! Snack: Make a cross out of pretzels. ___ Day Five: Read Hebrews 13:15-17. What do you think it means to offer up a sacrifice of praise to God? Does your praise ever involve sacrifice? How? Pray about it: Ask God to help your life to be a sacrifice of praise to Him. Activity: Offer God a sacrifice of praise today! Make your own instruments, write your own songs, sing to Him, play an instrument to Him, write a poem for Him . . . use whatever way you want to express your praise to God! ___ Day One: Read Jeremiah 20:1-6. How did Jeremiah live a bold life? Jeremiah’s whole purpose in life was to speak God’s words – no matter what. The people who heard him did not always like what he said. These verses record just one time that Jeremiah was hurt for his bold living. Pray about it: Ask God to help you live a bold life – even if it means persecution. Activity: Write a journal entry from the point of view of Jeremiah after being put in the stocks by Pashur. ___ Day Two: Read Esther 4. Do you know the story of Esther? She lived a very bold life! Her boldness saved the entire nation of Israel! Read verse 16 again. What does this verse tell us about Esther’s attitude? She knew what she had to do, and she was willing to do it – even if it meant death! That is BOLD LIVING! Pray about it: Ask God to help you be BOLD like Esther. Activity: Make a scepter and act out the scene where Esther appears before the king. Make a video of it and share it with others. Snack: Make a scepter out of celery sticks and peanut butter. ___ Day Three: Read Nehemiah 6. Here is another person who lived a bold life. How was Nehemiah bold? Nehemiah did what he knew was right, even when he faced severe opposition. What can you learn about living a BOLD life from the life of Nehemiah? Pray about it: Ask God to give you boldness to complete the tasks He has for you! Activity: Build a wall! Use whatever you have to make a wall like Nehemiah did. Let the wall you build remind you that you can do anything through Christ! ___ Day Four: Read Proverbs 28:1. How do the righteous live according to this verse? How can you be as bold as a lion? Pray about it: Pray this verse for your own life! Activity: Memorize this verse! Make a video of this verse! Make a poster of this verse! Do anything with this verse that will help you remember it and apply it to your life. Snack: Make a snack that uses BOLD colors! Remind yourself that you should be bold for Christ! ___ Day Five: Read Joshua 1. What command does God repeat several times to Joshua in this passage? Why do you think He does that? How did Joshua live a bold life? Pray about it; Ask God to help you to be strong and courageous in every situation you encounter! Activity: Here is a fun experiment that can remind you of how God can make you BOLD! Take a bar of Ivory soap. Unwrap it and put it on a microwavable plate. Then put it in the microwave. Turn the microwave on high and watch what happens to the soap. This is what happens to us when we put our trust in Christ – He takes what little boldness we have and makes it BIGGER for Him! He helps us be BOLD! ___ Day One: Read Joshua 2. Who was bold in these verses? How? Rahab took some very bold actions . . . and they paid off. She was saved, along with her entire family, and she ended up in the line of Christ! Pray about it: Ask God to help you take bold actions when needed. Activity: This chapter involves spies! Make your own spy costume and sneak around the house. If you get caught, explain to someone what it means to be bold for Christ! Snack: Eat red licorice to remind you of the scarlet rope that Rahab was told to place out of her window. ___ Day Two: Read Genesis 6:11-22. What were the bold actions in these verses? Why were those actions bold? Pray about it: Ask God to help you do bold things – even when everyone else thinks you are crazy! Activity: Make your own replica of Noah’s ark. Do research to make sure you make it similar to the pattern that Noah used. Use whatever materials you want. ___ Day Three: Read Judges 3:15-30. What were the bold actions that Ehud took in these verses? Pray about it: Ask God to help you do what He wants you to do – no matter what! ___ Day Four: Read 1 Kings 18:1-16. We often focus on Elijah in this passage of Scripture and it is easy to overlook another very bold person. Who else was bold in this passage? How? Obadiah risked his life by hiding and taking care of 100 prophets! That is quite a BOLD action!! How do you think he was able to be so bold? Pray about it: Ask God to help you be bold – even if your boldness is not noticed as much as another person’s might be! Activity: Hiding 100 people is not an easy task! Think through all the things that Obadiah would have needed to do to successfully keep those prophets hidden. Write out a plan that he may have used. ___ Day Five: Read Judges 6:11-7:25. This is a long passage that we are going to use to end our reading plan. There’s a lot of stuff that can be learned from this passage. What stands out to you? How does this passage show that God can use an ordinary person (who might start off being anything but bold) to do great things for Him? If God can use Gideon, God can use YOU! Aren’t you excited to see how God is going to use YOU to change the world??? Pray about it: Ask God to make you BOLD!!! Activity: Do something BOLD for Jesus! Do you have this in an easy to print format? Each summer we’ve used your summer Bible reading plans as a family, and they’ve been such a blessing. Thanks! I’m sorry, Melissa . . . I’ve been offline quite a bit recently and I just saw this comment. It might be too late for you, but I will try to attach a pdf that can be printed off later this week.